The slightly less good resolution result of the Canon EF 70-200mm f/2.8L IS II USM comes from less homogenous behavior across the field. 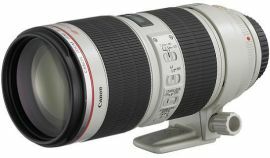 To conclude, these 2 lenses are both excellent telephoto lenses, but the overall scores come out slightly in favor of the previous version of the Canon EF 70-200mm f/2.8L IS USM, especially for Travel and Sport photography, which are the main use cases of these telephoto zoom lenses. Please note that if we compare the same lenses on an APS-C camera, the results are much closer thanks to the smaller sensor: for example, here is the comparison on a Canon EOS 7D. So, be sure to always compare lenses in combination with the body on which you will be using it.